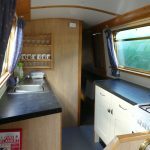 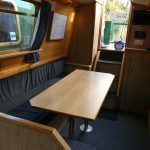 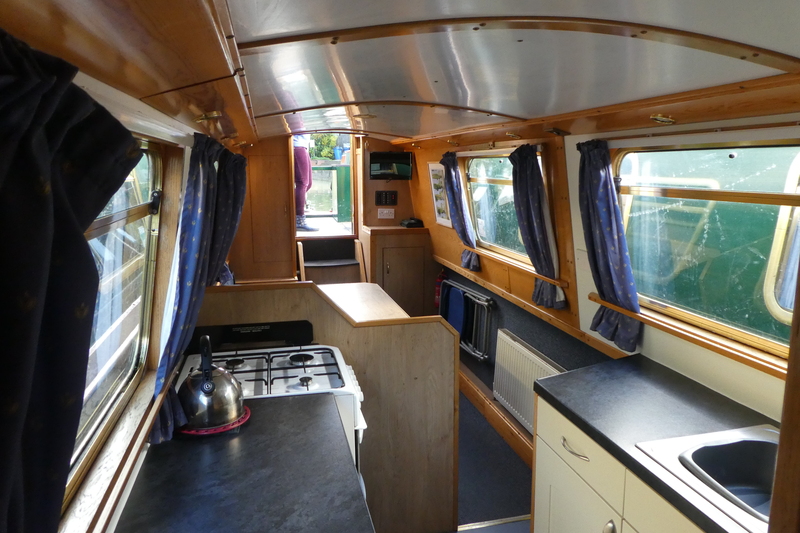 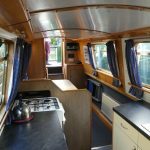 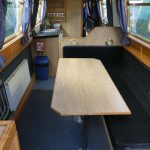 57′ narrow boat with flexible layout: See below for images and layout options. 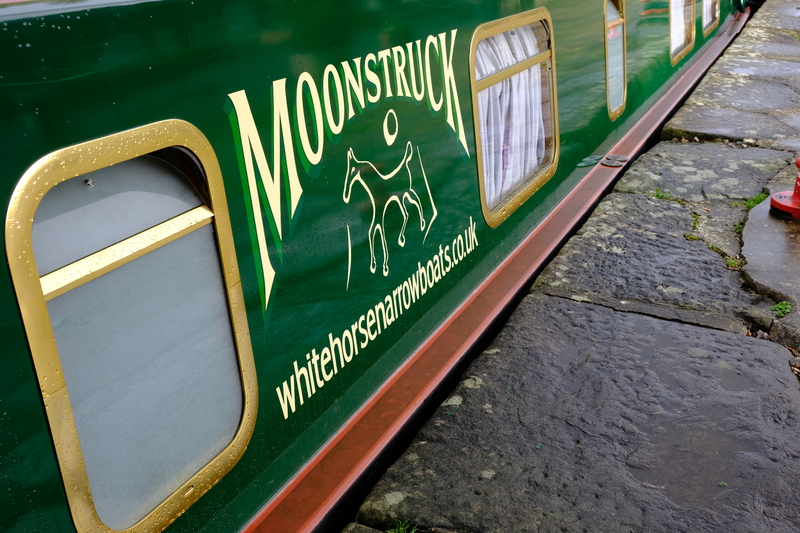 Moonstruck was introduced into the White Horse Boats fleet in 2017, and is a sister boat to Moonfleet and Moonshine, identical in layout. 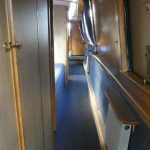 240V mains inverter (max 400W). 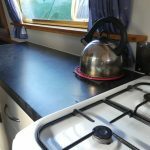 Crockery, cutlery, pots and pans are provided, but bedding apart from 1 pillow is not. 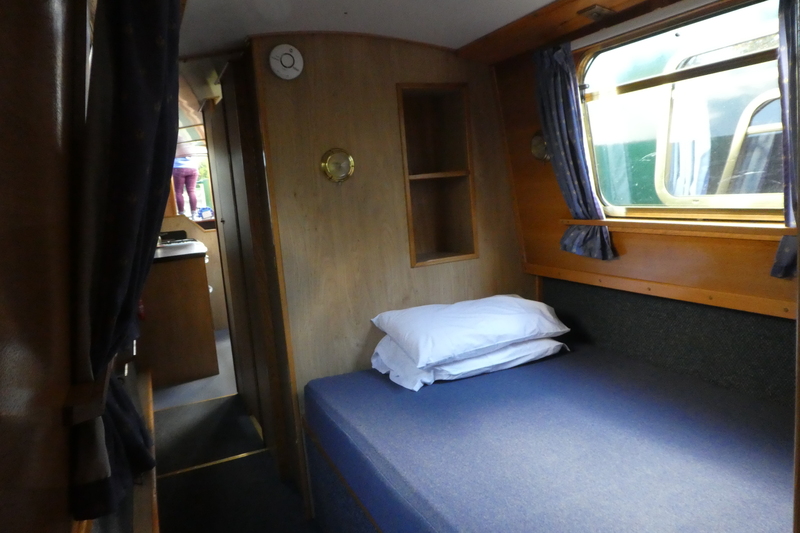 Please bring your own duvets/sheets or sleeping bags, extra pillows, pillow cases and towels. 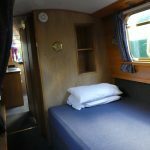 If you are unable to do this, then we can supply them as extras when you book, however, you will need to pay an additional fee for them. 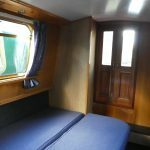 The forward cabin can be configured as a double or 2 single beds. 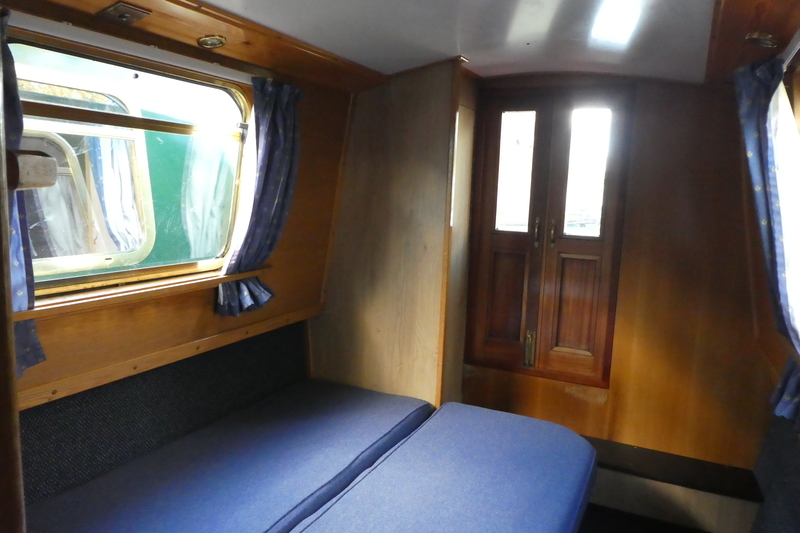 Midships double bed next to its ensuite bathroom (hip-bath, shower, sink and toilet). 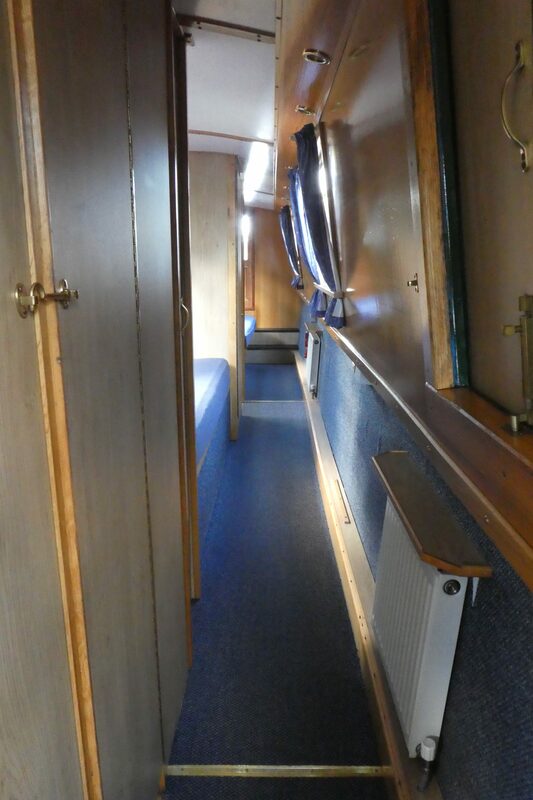 Looking down the boat past the cabins, ensuite bathrooms and radiators. 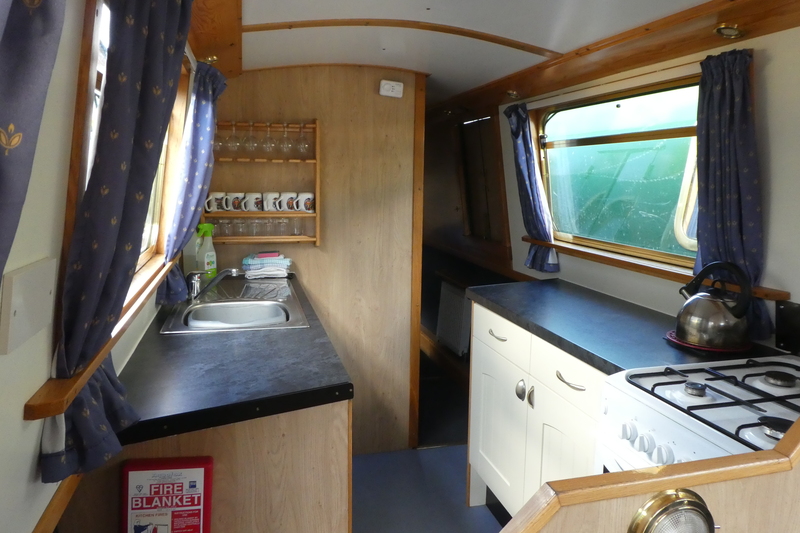 Kitchen with gas cooker, sink and cleaning kit. 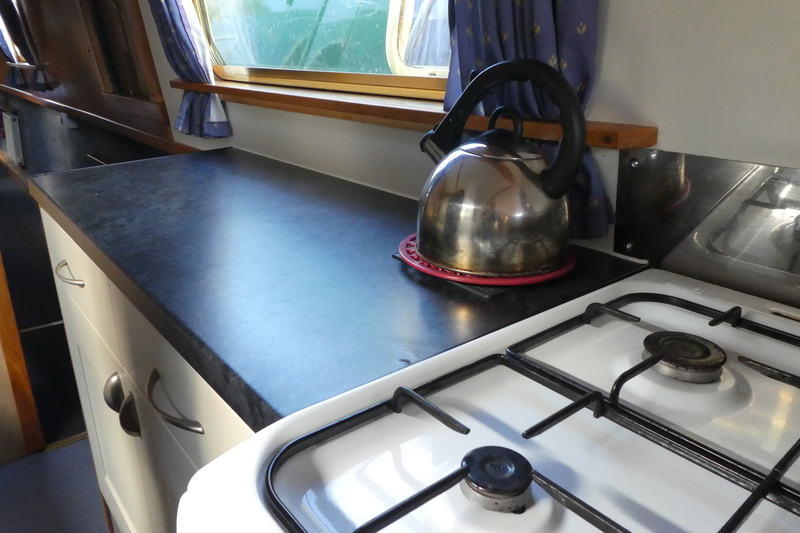 Tea-towels and oven gloves also provided. 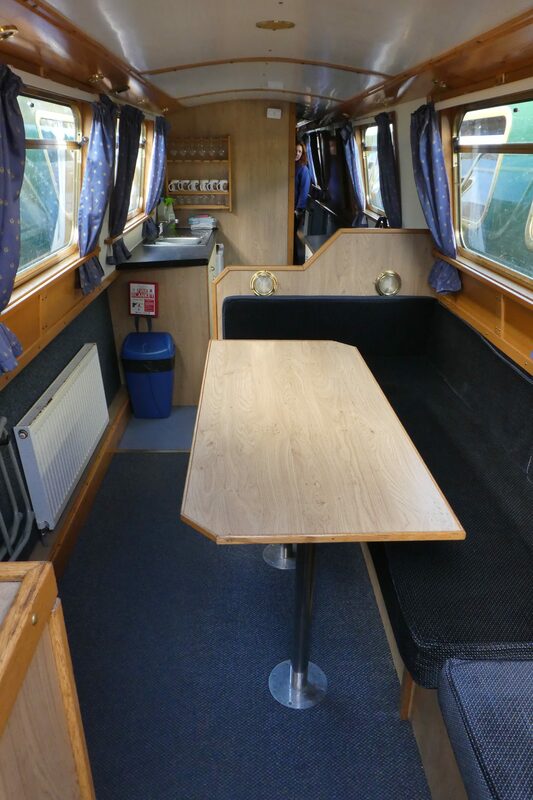 Galley seating with table and extra folding chairs. 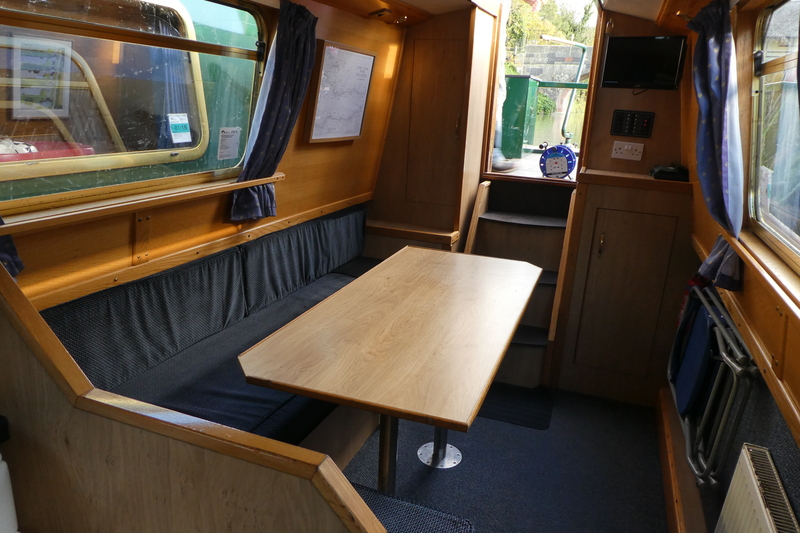 Seating area converts to double bed when required.